A small West Virginia town is transported from the year 2000 to the year 1632 in central Germany during the midst of the Thirty Years’ War due to an alien technology called the Assiti Shards. You’ve probably never heard of 1632, Eric Flint or the Thirty Years’ War, have you? Let’s start by pointing out that the Thirty Years’ War was among the deadliest in human history and almost no one has ever written fiction or fantasy about them. 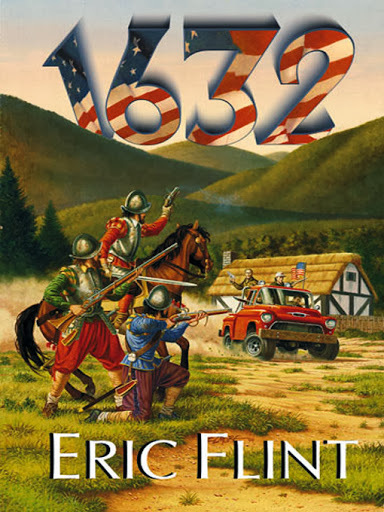 As to Eric Flint…he wrote a book called 1632, a novel with a concept that sounds so horribly bad there is no way it can be any good. But it is. And not just good, but great. Flint tackles his premise with elegant execution that ensnares the reader in a strange and unique world and makes us love him for it. Available on Amazon.com. Read my Minimalist Review of 1632! Set in a dystopian socialist future, a low level bureaucrat goes in search of a rebel organization that promotes free thought, only to find himself ensnared in a devious government plot. Orwell’s masterpiece is one long illustration of why communism is evil and in so doing creates one of the greatest and most haunting futuristic worlds in all of literature. 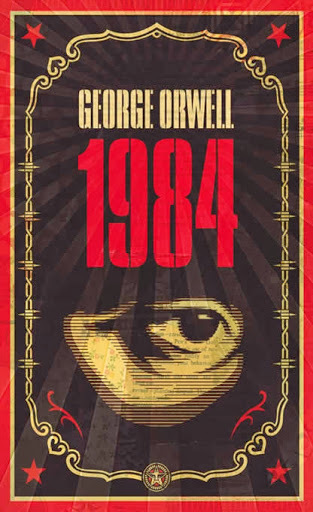 1984 is one of the few books with an overt message that isn’t beaten over your head every five minutes. If you walk away from this book with a new-found fear of rats eating your face off, we will understand. Available on Amazon.com. A young engaged couple is haunted by nocturnal visits of a reclusive vampire named Dracula. With the help of Prof. Van Helsing they follow the vampire across Europe in an effort put a stop to his long trail of gruesome murders. This classic vampire tale is widely regarded as one of the best horror novels ever written. 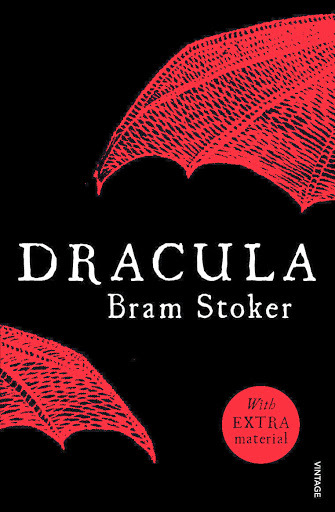 Bram Stoker uses implication and psychological terror to spur the reader’s imagination and heighten emotions. Everything Anne Rice and Stephenie Meyer wrote derives from this source. Except for Nosferatu, no one has ever been able to make a decent screen adaptation of Bram Stoker’s best novel. Available on Amazon.com. A young boy goes to battle school in preparation for war against a hive-minded insectoid alien race but soon discovers that he alone is central to winning it. Just as Dracula is one of horror’s best, Ender’s Game is one of sci-fi’s greatest. 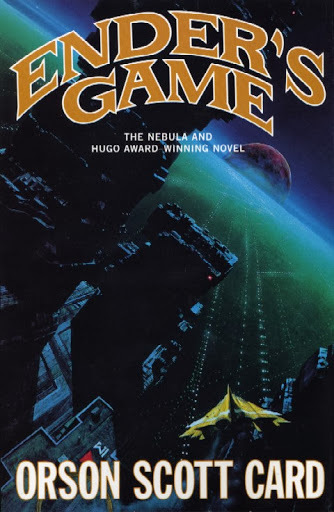 Originally a novelette, Orson Scott Card later expanded the story into a full-blown novel. With one of the biggest and most emotionally devastating twists in all of readingdom, Card knocks this one out of the park with a story like no other. It’s kind of like a vanilla Full Metal Jacket in space, but without as much Vincent D’Onofrio. Ender’s Game (2013) has also been recently adapted into a feature film starring Harrison Ford. Available on Amazon.com. A lone survivor barricades himself in his home while the dead come back to life and cover the earth. This is where it all began. Before Anne Rice and George A. Romero there was Richard Matheson’s I Am Legend which introduced both zombies and vampires into the same story of post-apocalyptic survival and paranoia all the way back in 1954. In spite of being an absolutely incredible story, much was lost in its adaptation from page to the silver screen, including the most thought-provoking ending in all of undead literature. Our condolences to Richard Matheson‘s family; he passed on June 23, 2013. Available on Amazon.com. A group of American tourists disappear in the political uncertain country of Burma (Myanmar). Combine a group of tourists who find themselves lost in the backwoods of a third world country with a character-centric story by novelist Amy Tan and what do you get? A perfectly constructed novel called Saving Fish from Drowning. 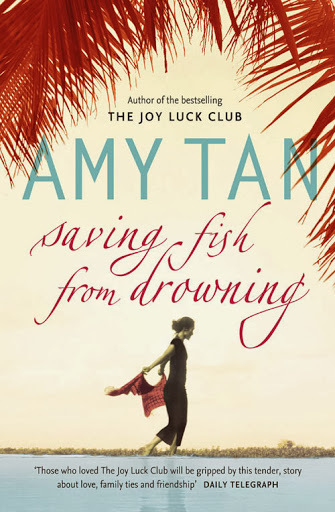 You may recognize Amy Tan from her famed Joy Luck Club, but sadly Saving Fish doesn’t get the attention it deserves. Available on Amazon.com. A psychologist is sent to a military science base on the bottom of the ocean floor where a mysterious airplane has crashed. 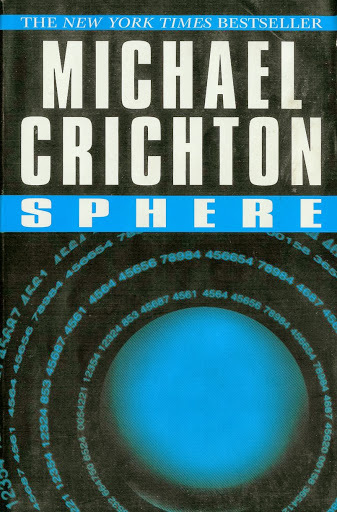 While Sphere is easily author Michael Crichton’s best novel, the movie adaptation does the book little justice. And trust me, the plot sounds cheesier than the actual execution. Using an introspective protagonist to analyze a mysterious brain-wrenching plot, Crichton navigates the reader through certainty, doubt and speculation and into an immersive science fiction experience. Available on Amazon.com. In a seemingly utopian society, a 12-year old boy enters training to become the new “Receiver of Memory” and comes to realize that their utopian society has eliminated all individuality and emotion. 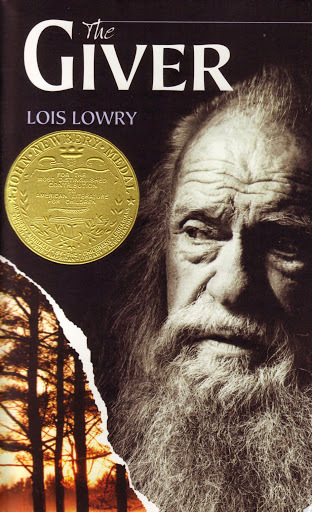 Even though The Giver is intended for middle schoolers it is worth the quick read. Sporting a beautiful story with a universal message, Lois Lowry‘s Newbery Medal winner expounds the values of art, individuality and deep emotion better than most adult novels. Available on Amazon.com. Two young children in the American south experience racism first-hand as their father, a lawyer, attempts to defend an African American in a small town court. 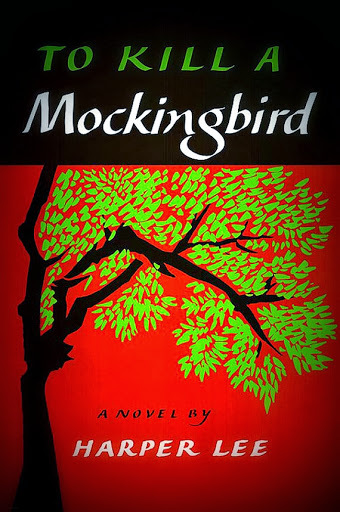 There’s a reason To Kill a Mockingbird appears on every high school lit class syllabus. It’s beautiful. It’s terrible. And it is still one of the most effective works of fiction about racism and inequality ever written. For an added bonus, read Truman Capote’s Other Voices, Other Rooms. Truman Capote and Harper Lee were close friends as children and the pair appears in both novels in two different but fascinating interpretations. 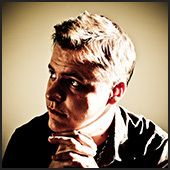 Mockingbird and Other Voices are both available on Amazon.com. A revisionist version of L. Frank Baum’s original The Wonderful Wizard of Oz which follows Elphaba as she faces a series of misfortunes that ultimately turn her into the Wicked Witch of the West. It’s a shame this book has been nearly forgotten in the shadow of its sequels and the hit Broadway musical of the same name. 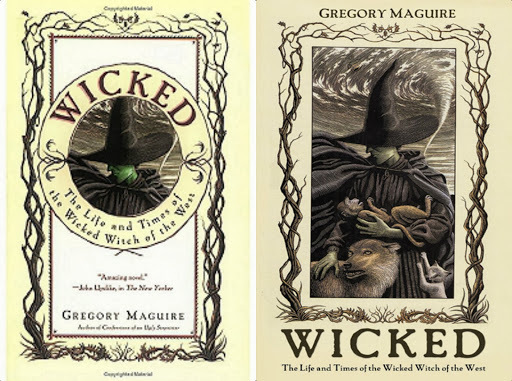 Gregory Maguire‘s Wicked is truly a work of art in the form of a literary novel which thoroughly examines the nature of good and evil through a lengthy, in-depth discussion of surprising gravity. Available on Amazon.com. Read my Minimalist Review of Wicked! A Game of Thrones by George R. R. Martin (fantasy): A fully-realized fantasy world starring a large cast in a character-centric fantasy epic. Available on Amazon.com. Jurassic Park by Michael Crichton (sci-fi, thriller): If there is ever a way to revitalize your childhood love for dinosaurs, this is the book is the way to do it. Available on Amazon.com. The Girl with the Dragon Tattoo by Stieg Larsson (mystery): A dark mystery novel featuring one of the most interesting characters to hit the written page. Adapted into several films, including [list here]. Available on Amazon.com. The Hunger Games by Suzanne Collins (sci-fi, thriller) One of the most intense books you will ever read. Available on Amazon.com. The Red Badge of Courage by Stephen Crane (literary, war): A haunting, surreal account of chaos in war. Available on Amazon.com.